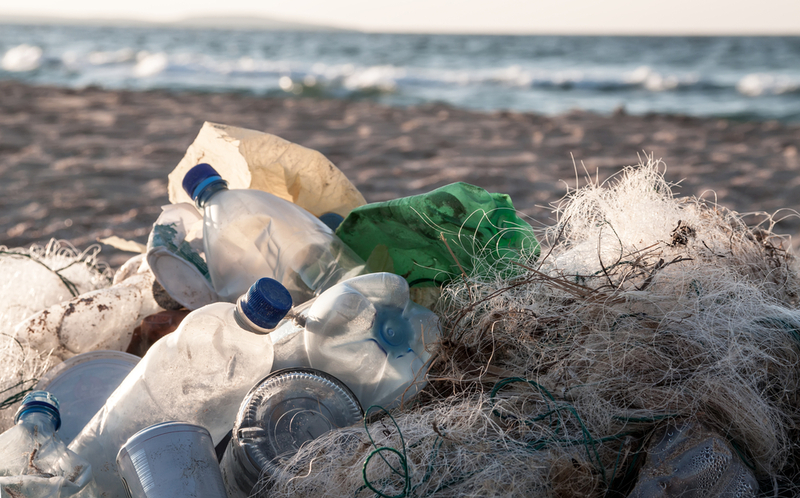 The introduction of plastic in the 20th century has led us to become increasingly reliant on its use and now a large percentage of almost everything we buy contains plastic. However, while we are happy to use it we are less adept at recycling it and the sad fact is that less than 10% of the plastic we produce gets recycled. Of the rest 50% makes its way into landfill and the remainder is unaccounted for, more often than not getting washed out to sea, where it inflicts a substantial toll. While the top five countries which contribute the most to plastic ending up in the oceans are China, Indonesia, the Philippines, Thailand and Vietnam, we all need to play a part in reducing our own contribution if we are to bring about change. Carrier Bag Tax: One recent government initiative in the UK has been to bring in a 5p charge on all carrier bags. The good news is that since this came into effect in October 2015 the seven main supermarket chains have seen an 85% decrease in the use of plastic bags. This means far fewer plastic bags will end up in landfill or in the oceans. Fundraising and Volunteering: If you want to take part in the clean-up operation and conservation efforts taking place at the coastline closest to you The Marine Conservation Society encourages people to get involved in several ways. You can help by beach cleaning; sea search for experienced divers; or by fundraising so the society can maintain their conservation work. Conservation as a Career: Some people might feel called to pursue conservation work as a career. 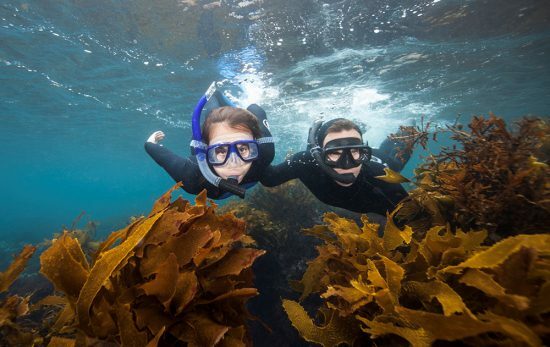 One of the best ways to find out if it is right career path for you is to undertake a marine volunteering programme where you can collaborate directly with experienced conservations to discover what the work entails. Being Aware of What We Buy: When we head to the supermarket it’s important to be aware of the packaging our produce comes packed in and to minimise it where possible. Opt for loose fruit and vegetables and then take them home in a biodegradable paper bag, instead of wrapped in three types of plastic. Alternatively shop at farmers’ markets where the food travels a shorter distance from source to plate, and within minimal packaging. 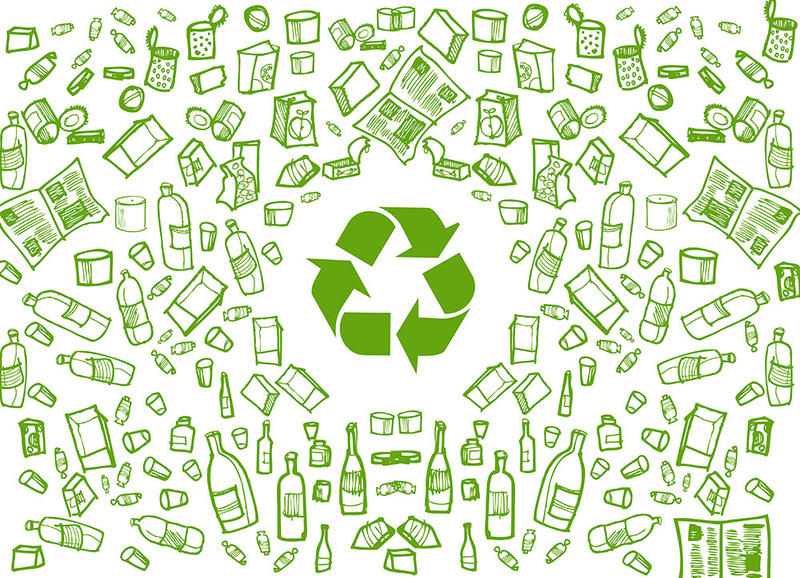 Recycling: It can sometimes be a hassle to recycle everything we throw away but it can make all the difference to what ends up in landfill. Sort items weekly prior to your rubbish collection and for larger items try to pass them on to someone who needs them using the ‘freecycling’ sites. The majority of plastic which ends up in the sea, over 80%, comes from land-based sources. One of the major contributors to this ocean pollution is our obsession with drinking bottled water. Over 200 billion bottles of water are consumed each year and over 176 billion empty bottles ultimately end up in landfill or the ocean. Even more seriously the situation worsens year on year with studies showing plastic marine debris is increasing dramatically. One of the most serious problems with plastic is that it takes thousands of years to degrade. The plastic in the ocean often forms huge floating ‘islands’ where currents meet. One of the largest and most infamous is the Pacific Trash Gyre in the Pacific Ocean which has a larger surface area than Texas. The action of the sea also breaks down the plastic into smaller pieces and this makes it particularly deadly for wildlife and ultimately for us. As the plastic deteriorates it absorbs other toxins and then enters the food chain, eaten by fish. This seafood can become contaminated with cadmium, mercury and lead and then places humans at risk when eaten. A proven carcinogen, Diethylhexyl phthalate (DEHP) is found in increasing levels in seafood, as is Bisphenol A (BPA) which research has shown interferes with human hormone function. Plastic is also entering the ocean through the problem of microbeads. 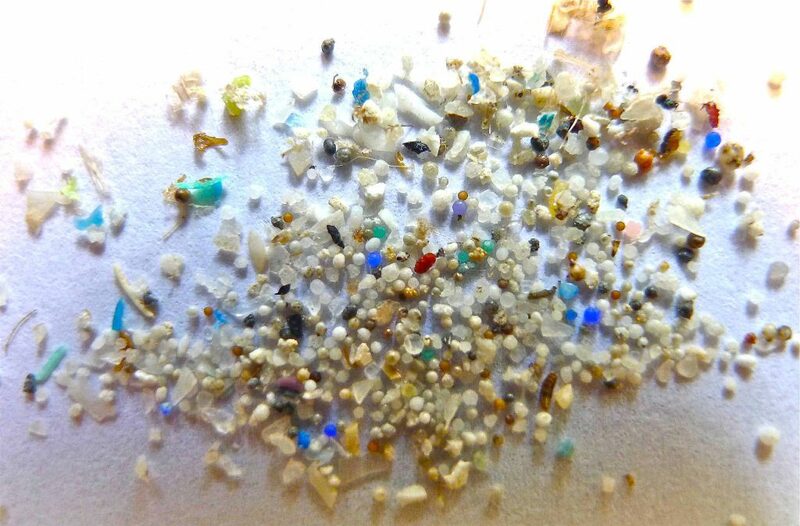 These are tiny plastic beads present in many shower gels and toothpastes, and millions of them get washed down the drain and ultimately into the sea every day. These tiny beads can be ingested even by plankton and then move on up through the food chain. There is great pressure on governments to take a stand and ban these deadly plastic additions to our oceans before the situation worsens. The UK government has stated that it will ban all microbeads in cosmetics by the end of 2017 and in the interim some retailers are taking action themselves as seen by Waitrose’s recent announcement they will no longer stock any products containing microbeads. It’s vital that every person plays their part by refusing to purchase products which contain microbeads and in addition stops adding to the mountain of empty plastic water bottles by drinking tap or filtered water and always taking your own refillable flask or bottle with you. We have been led to believe that plastic is disposable, but that is very far from the truth. Every item we throw away either ends up taking up valuable space in landfill or adding to the plastic pollution of the sea. 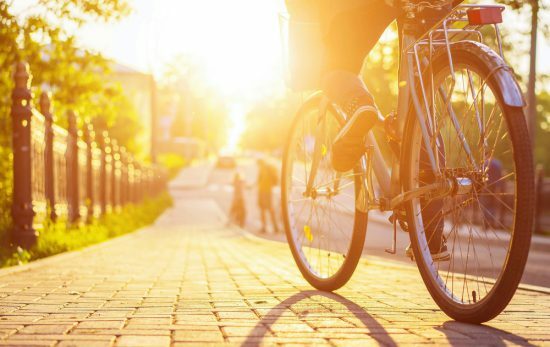 With our planet at risk it is important that every individual does what they can to use natural resources wisely; to minimise their consumption; and to recycle at every possible opportunity. It’s also vital we all raise our awareness so we can put pressure on retailers and governments to make the changes which matter most.